You will also believe in the statement that ‘Data Losses are Painful’. Yes, of course! This situation becomes more critical when you have a meeting in the next hour and the data that needs to be projected in the meeting is accidentally deleted or lost from your system. How to get out of such situation? Yes, there are plenty of tools available online that claims to provide efficient data recovery solutions. But it is hard to find reliable data recovery software. EaseUS can be the solution to all your needs. It is the best free data recovery software available in the market. One can easily recover the deleted, formatted, or lost data from laptop, PC or removable device easily and swiftly. Moreover, the process of recovery is easier than your imagination. Just launch the software, scan the drives, and recover the lost/deleted data. EaseUS is a renowned data recovery company that provides safe and reliable solutions to cater your data recovery needs. It has over 30 million users across the globe trusting its data recovery tool. One can easily recover the lost/deleted data from PC, laptop, or other digital devices. The best part is that it is available for both Mac and Windows users. Let us learn more about its features. Recover Lost/Deleted Files: Any media lost due to system upgrade, deletion, or any other complex issue can be easily recovered by this tool. EaseUS Data Recovery Wizard is capable of recovering the most inaccessible files from your device even if they are lost/deleted. Two Recovery Modes: The ‘Quick Scan’ lets you search through the deleted/lost data on your device swiftly while the ‘Deep Scan’ mode lets you find the deleted/lost/formatted files that were inaccessible. Export/Import the Scanning Results: You can export the scanning results even if you have to leave the session in between. You can import the results to start the scanning once again when you are back. Filter Scanning Results and Preview Files before Recovery: Once you are done with the scanning, you can preview all the files and select the specific files to recover. Multi-Lingual: It is available in 20 languages including English, Spanish, Chinese, French, Traditional Chinese, Italian, Brazilian Portuguese, Japanese, German, Swedish, Danish, Turkish, Arabic, Indonesian, Korean, Hungarian, Polish, Norwegian, and Dutch. Supports Multiple File Formats: It supports more than 200 file formats including images, documents, videos, music, audios, SRT, PDF, and more. What’s new in EaseUS Data Recovery Wizard 12.0? The preview feature has been made available for audio and video files. The scan process can be speed up to find the lost data quickly. The video files can be recovered with better quality. Minor optimizations for the interactions are done in the new version. EaseUS Data Recovery Wizard is available for free. One can easily recover up to 2GB data for free using this tool. 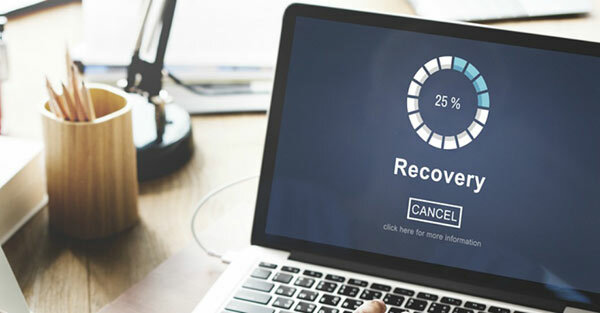 If you want to recover files that are heavier in size, you can opt for ‘Data Recovery Wizard Pro’ plan at $69.95 or choose ‘Data Recovery Wizard Pro+WinPE’ plan at $99.90. EaseUS Data Recovery Wizard is the savior for all the people who are looking for a reliable data recovery tool. It supports recovery of 200+ file formats and is available in 20+ languages making it easy for its users to understand the interface in their native language. You can rely on this tool for all your data recovery needs.